Before addressing the public meeting, Modi launched the four-laning of Solapur-Osmanabad section of NH-211, underground sewerage system and three sewage treatment plants and laid foundation stone of 30,000 houses under Pradhan Mantri Awas Yojana. 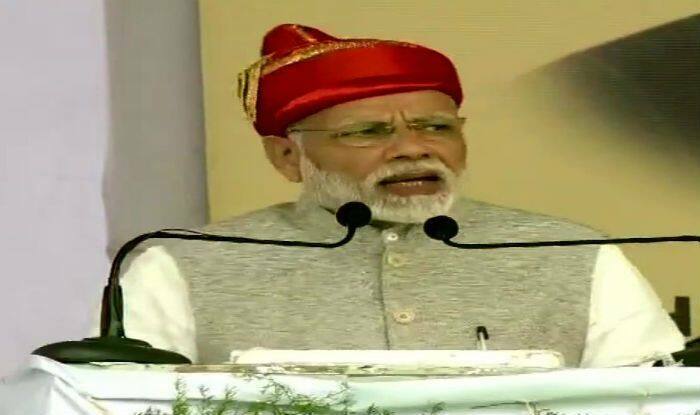 Solapur: Prime Minister Narendra Modi on Wednesday, while addressing a rally at Solapur in south Maharashtra, assured the people from northeast and Assam that passing of the Citizenship (Amendment) Bill in Lok Sabha will not have any negative impact on their rights. “Yesterday, the Citizenship (Amendment) Bill was passed in Lok Sabha. I want to assure people from northeast and Assam that their rights will not be compromised with this decision,” he said. Speaking over the passing up 10 per cent reservation bill for economically weaker section in the general category, the Prime Minister said that the passage of bill is a “strong answer” by Parliament to those spreading lies on the move. “Yesterday late night, a historic bill was passed in Lok Sabha. By passing the bill regarding 10% reservation being granted to economically weaker section in the general category, our principle of ‘Sabka sath sabka vikas’ has been further strengthened,” he said. The Prime Minister also launched a scathing attack on the Congress and indicated that alleged middleman Christian Michel, arrested in the AgustaWestland VVIP chopper case, was lobbying for French manufacturer Rafale’s rivals in the aircraft deal. Citing media reports, PM Modi said the Congress should answer which leader of their party, now shouting about this (Rafale deal), has a connection with Michel. Strengthening the attack further, he said that the ‘chowkidar’ (watchdog), who has embarked on a campaign to root-out corruption cannot be bought or scared and will continue with his work relentlessly. Before addressing the public meeting, PM Modi launched the four-laning of Solapur-Osmanabad section of NH-211, built at an investment of over Rs 970 crore. Following the inauguration, the PM said Solapur will soon be covered under the Udaan scheme which seeks to link far off places with air connectivity. He also inaugurated an underground sewerage system and three sewage treatment plants and laid foundation stone of 30,000 houses under Pradhan Mantri Awas Yojana.